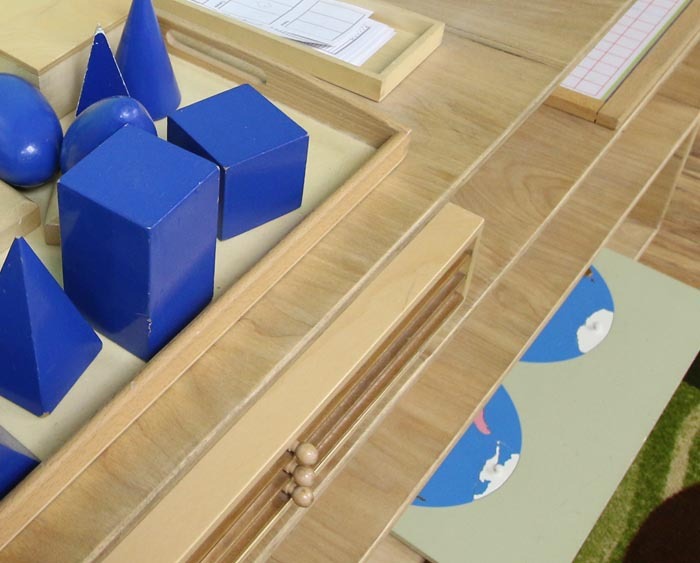 The Montessori Method of education, developed by Dr. Maria Montessori, is a child-centered educational approach based on scientific observations of children from birth to adulthood. Dr. Montessori’s Method has been tested, with over 100 years of success in diverse cultures throughout the world. It is a view of the child as one who is naturally eager for knowledge and capable of initiating learning in a supportive, thoughtfully prepared learning environment. It is an approach that values the human spirit and the development of the whole child-physical, social, emotional and cognitive. Our school is open year-round for Children aged 6 weeks to 9 years. Under the direction of our dedicated staff the school offers an enriching environment that encourages students to develop and learn at their own pace in math, reading, science and social development, leadership, responsibility, caring for the environment amongst many other learning activities. Children start in our infant program at 6 weeks and go on till they are 18 - 24 months. Having a baby and the thought of educating and helping them grow could be intimidating. But we are here to help. With our experienced child care professionals your little bundle of joy will learn all the little life skills every day. The first few days in a day care is the hardest, however your baby will settle down and get used to the daily routine. Our Toddler program enrolls children between the ages of 18 – 30 months. It is a flexible program for busy parents wherein you can pick and choose the number of days or the hours you want your toddler to spend time in our fun filled facility. Our experienced teachers will ensure they are given the nurturing care in a home like environment where they can develop and grow into curious preschoolers. The preschool caters to children aged 2 – 5 years providing an outstanding Montessori program nurturing the curious mind with a program filled with investigation, exploration, and discovery, where active and enthusiastic children can refine and expand their skills and knowledge. Children enter our kindergarten at the age of 5 years. We recommend a full time program (5 days) for Kindergarten to gain the greatest benefit for your child to be ready for formal education in 1st grade. At this age it is critical that parent’s drop off/pick up their children at specific times. It is very important that the child attends school regularly on time to benefit from our full day program so that they do not miss out on any presentations / learning done in the mornings. Well established routine is the first step to developing a balanced child. At Foothill Progressive we start with developing social skills, concentration and consideration for others. However whatever we do is done in an atmosphere of fun, love and nurturing. Without this children cannot develop creativity, imagination and the quest to learn. Montessori is simply a very effective teaching method, developed by an Italian Doctor, Maria Montessori. One half of it uses very specialized tools and equipment to teach children basic skills like concentration, mathematical concepts, practical life exercises and more. It is divided into different subject areas (Please see below for a description). We use & incorporate good ideas from all teaching systems. Maria Montessori herself constantly developed new tools, techniques and equipment. We feel that we should carry on that tradition of innovation by refining, developing and even expanding on her core concepts of child development without losing sight of the basic Montessori philosophy.